Former Yeshiva University High School students who sued the university Monday for sexual abuse they allegedly suffered at the hands of former instructors say the statute of limitations shouldn’t apply because the school committed fraud when it failed to reveal allegations against the former staffers. It’s a tactic that has worked before for Kevin Mulhearn, the lawyer representing the nineteen plaintiffs. He represented twelve former students suing Brooklyn’s Poly Prep Country Day School, with whom that school settled in December after a judge said the case could go forward. The nineteen former students are seeking $20 million each from Yeshiva University, for alleged abuse first reported publicly in the Jewish Daily Forward. Their suit says the abuse took place between 1969 and 1989, though according to the New York Daily News, state law says childhood abuse survivors must file civil litigation by the time they turn 23. 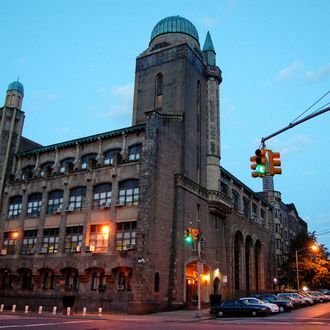 Their strategy will be to portray the school as engaging in fraud when it decided to fire the two rabbis accused in the suit — George Finkelstein, who became principal of the school, and Macy Gordon, who taught Judaic Studies — instead of reporting them to the police and alerting their subsequent employers to the allegations against them. Chancellor Norman Lamm, who was president of the university at the time of the alleged abuse, has already apologized in his resignation letter for not taking further action: “At the time that inappropriate actions by individuals at Yeshiva were brought to my attention, I acted in a way that I thought was correct, but which now seems ill conceived.” It sure does.